Expense Ratio - The Fee That You Will Never See! If you invest in Mutual Funds, you need to read this. The majority of investors are familiar with mutual funds and the concept of owning a diversified pool of stocks. You purchase one share of a mutual fund and in turn get exposure to all of the individual stocks that the fund holds. By owning multiple stocks, you limit the amount you can lose (aka not having all of your eggs in one basket). In the same light, most investors look at their advisory statement and can see the quarterly or yearly “advisory fee” they pay from their account (pretty straightforward). Let’s quantify it at 1 percent, and assume that is the total asset management cost. What I see time and again is that investors are taken aback when they find out the mutual funds they hold in their portfolio also charge them a fee, but that fee never shows up on their statement! What does an expense ratio pay for? According to Morningstar, the expense ratio is the annual fee that all funds or ETFs charge their shareholders. 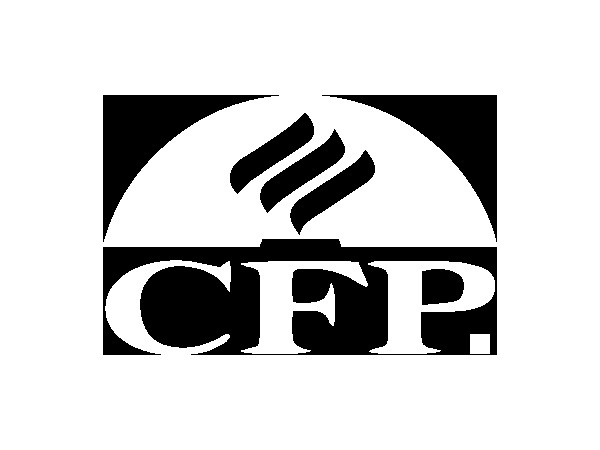 It expresses the percentage of assets deducted each fiscal year for fund expenses, including 12b-1 fees, management fees, administrative fees, operating costs, and all other asset-based costs incurred by the fund. How do I find out how much I’m paying in expense ratios? 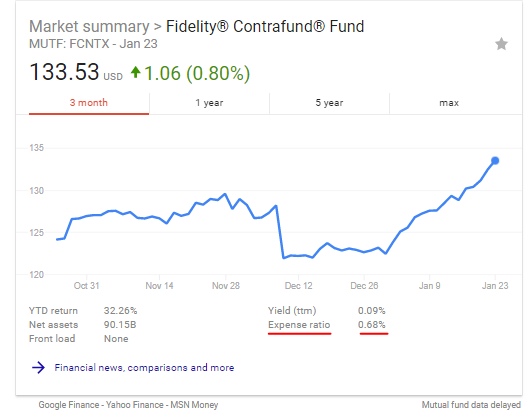 In this case, the Fidelity Contrafund has an expense ratio of .68 percent. So, in reality, if you were paying your advisor 1 percent, in total, your all-in fees would actually be 1.68 percent. How does this fee get paid by me? Here is the tricky part, these fees can come out of your portfolio in a number of ways. #1- Taken from your dividends. As an example, let’s say your mutual fund with an expense ratio of 1 percent is worth $100 a share and pays a 2 percent or $2 dividend per year. At the end of the year when you get paid your dividends, instead of getting back that $2, you only get $1. The fee comes out of your profits, and you never see it as a line item on your statement. For mutual funds that don’t pay a dividend, these monies can sell some of the stock in the fund and instead of being fully invested use the cash that was generated to pay the fees. Let’s go back to our mutual fund with an expense ratio of 1 percent that is worth $100 a share. When it comes time to deduct the fees, some shares are sold in the fund, and the cash is removed. The day after this happens you look at your statement, and now the fund is only worth $99 per share. Unless you knew what was happening, this would just appear as a price fluctuation due to the market. However, in reality, this was your fee coming out. Again, unless you knew what the expense ratio was, you would never know you just paid a fee! You can’t just look at your yearly statement and assume you know what you are paying. Therefore, it is in your best interest to ask your financial professional questions about the all-in fees you are paying. If there are less expensive options out there that can help you accomplish the same financial goals, wouldn’t you want your money working harder for you? If you are managing your investment assets on your own, check the expense ratios of the funds you own as I illustrated above. If any of your expense ratios are between .50% and 1%, it’s time to explore some comparable lower cost options. If you are paying over 1%, then it’s time to switch to a lower cost option. Older PostTax Reform: How Will It Affect Me?